Reynolds Special Events Manager Ariel Cole, CMP, was recently presented with the 2016 J.B. Bostic Torchlight Award from the Meeting Professionals International Virginia Chapter. 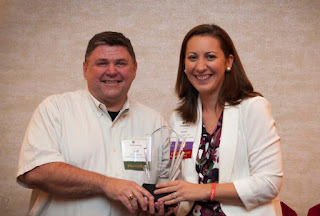 The Virginia Chapter of Meeting Professionals International serves to be the pivotal force in providing meeting planners and suppliers superior educational, networking, and leadership development opportunities. 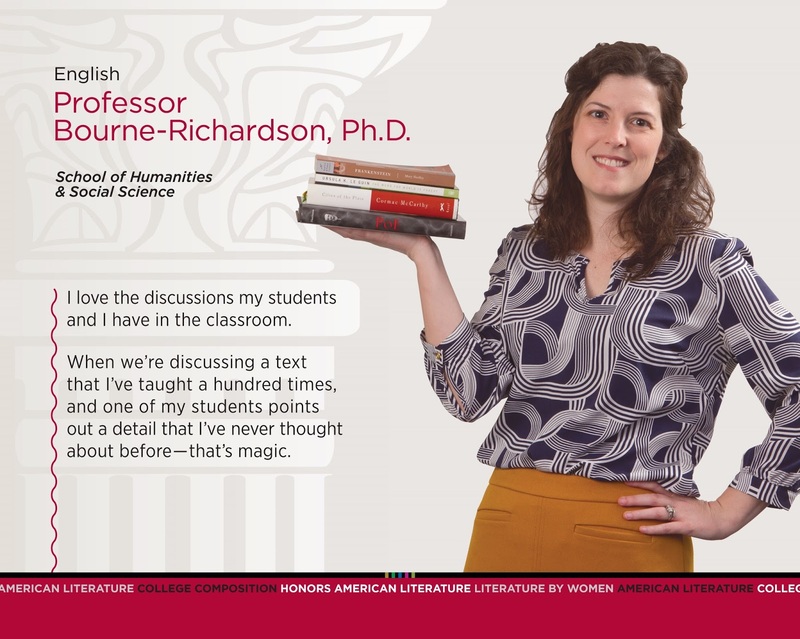 Dr. Ashley Bourne-Richardson is an English professor who has been at Reynolds since 2003, where she started as an adjunct professor. In 2005, Ashley stepped into a full-time position where she not only teaches, but has served as the Honors Program Coordinator at Reynolds since 2014. She loves her Reynolds colleagues and the hard-working and talented students at Reynolds as well. When she’s not at work, Ashley enjoys walking her dog, reading new books and discovering new restaurants. Before she came to Reynolds, Ashley worked as a graduate student at North Carolina State University. A few more interesting facts about Ashely are that some of the jobs she had as a teenager were at a golf course and a Pizza Hut. Ashley’s favorite movie is the Constant Gardner and she says that if she were to win five million dollars, she would open a shelter for dogs and cats. When asked if she had her choice of one super power, Ashley says that she would like to have the power to heal. Reynolds is hosting numerous events the first week of classes to welcome students to each of its campuses. “Welcome Back Parties”, that have been a long standing tradition held by Student Life, give students the opportunity to meet their peers and have a little fun while preparing for the start of the new fall semester. Students are treated to a myriad of activities, free items and food such as music, caricature artist, tattoos, snow cones, cotton candy and popcorn just to name a few. For more information about upcoming Student Life events, visit www.reynolds.edu or contact the Office of Student Life at (804) 371-3000. This article was provided by Reynolds Communications Intern Derric Cushman. Derric is working on his master's degree at the University of Oklahoma. He is a graduate of the University of North Carolina Charlotte and served as a Navy Mass Communication Specialist where he worked with print journalism, photography and public affairs as well as TV and radio broadcasting at the Defense Information School (DINFOS) at Fort Meade, MD.